Paul Henry Thiry, baron d'Holbach (1723 - 1789) was a French author, philosopher, and encyclopedist, and one of the first outspoken atheists in Europe. He advanced a materialistic and deterministic cosmology whereby everything could be explained in terms of matter and motion. Unlike other “naturalist” philosophers, he recognized that human beings had different qualities from other types of matter, and that the laws governing human behavior differed from those governing other bodies. Like Hobbes, he identified self-preservation as the most basic human desire, and linked it to happiness. Holbach believed that ethics and morality arose from an enlightened understanding of what would best ensure the self-preservation of the individual and society. His political philosophy recognized two types of social contracts, an unbreakable one of cooperation among the members of a society to ensure their own well-being, and an agreement between society and a sovereign government which could be dissolved if the government failed to promote the happiness of the people by protecting their freedoms. Holbach viewed absolute monarchy, hereditary privilege, and Christianity as obstacles to human happiness. His political philosophy was a precursor of utilitarianism. Holbach’s Paris salon, which met regularly, twice a week, from 1750 to 1780, became the meeting place for all the intellectual figures of his time, radical and conservative alike, many of whose works laid the philosophical foundation for the French Revolution. 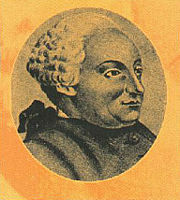 Holbach authored or coauthored over fifty books and over four hundred articles for the Encyclopédie. Paul Heinrich Dietrich was born in 1723, in Edesheim, Germany. D'Holbach's mother (née Holbach) was the daughter of the Prince-Bishop's tax collector and his father, Johann Jakob Thiry, was a wine-grower. The young Paul Henry was raised in Paris, where his studies were financed by his uncle, Franz Adam Holbach, who had become a millionaire by speculating on the Paris stock exchange. He attended the University of Leyden from 1744 to 1748 or 1749. In 1749, Holbach married his second cousin, Basile-Geneviève d'Aine. Around 1754, both his uncle, Franz Holbach, and his father-in-law died, leaving him two large fortunes. The still young d'Holbach became very wealthy and remained so for life. Holbach used his wealth to host large dinner parties, for which he became famous. He owned a chateau at Grandval where he entertained socially, and a house in Paris in rue Royale, butte Saint-Roche, where the guest list was generally made up of serious intellectuals. D'Holbach had one of the more notable salons in Paris. Gatherings were held regularly twice a week, from approximately 1750-1780, and it was one of the most important meeting places for contributors to the Encyclopédie. The tone of discussion among the visitors was highly civilized and covered more diverse topics than that of other salons. This, along with excellent food, expensive wine, and a library of over 3000 volumes, attracted many notable visitors. Among the regulars in attendance at the salon were: Diderot, the diplomat and cultural critic Grimm, the writer Jean-François Marmontel, D'Alembert, the philosopher Jacques-André Naigeon, Helvétius, the writer Jean-Baptiste-Antoine Suard, Doctor Augustin Roux, Ferdinando Galiani, and André Morellet. Many of these visitors were radicals and avowed atheists, but the salon also attracted figures from the mainstream of European society, including French nobles and foreign diplomats. The salon was also well-frequented by British intellectuals including Adam Smith, David Hume, Horace Walpole, Edward Gibbon, the chemist Joseph Priestley, and by notables such as the actor David Garrick, the novelist Lawrence Stern, and Benjamin Franklin. D'Holbach was also owner of Heeze Castle, situated in the Duchy of Brabant, in the Netherlands. After his first wife died, he married her younger sister, Charlotte Suzanne d'Aine, with whom he had four children. Holbach wrote prolifically; according to Vercruysse, Holbach authored or coauthored over fifty books and over four hundred articles. He died in 1789..
D’Holbach authored and translated a large number of articles for the Encyclopédie on topics such as politics, religion, chemistry, and mineralogy. The translations he contributed were chiefly from German sources. He was better known, however, for his philosophical writings, which expressed a materialistic and atheistic position. In 1761, he published Christianity Unveiled (Christianisme dévoilé), attacking Christianity and religion as counter to the moral advancement of humanity. In 1770, this was followed by a still more open attack on religion in his most famous book, The System of Nature (Le Système de la nature), presenting a core of radical ideas which prompted a strong reaction. The Catholic Church in France threatened the royal House of Bourbon with a withdrawal of financial support unless it effectively suppressed the circulation of the book. A long list of people wrote refutations of the work, including the preeminent Roman Catholic theologian Nicolas-Sylvestre Bergier, who published, Examen du matérialisme (Materialism Examined). Voltaire hastily refuted the philosophy of the Système in the article, "Dieu," in his Dictionnaire philosophique, and Frederick the Great also wrote a response to it. Its principles were summed up in a more popular form in Common Sense (Bon Sens, ou idées naturelles opposees aux idées surnaturelles, Amsterdam, 1772). System of Nature and Common Sense were condemned by the Parliament of Paris and publicly burned in France. Holbach attempted to describe a system of morality in place of the one he had so fiercely attacked in Système social (1773), Politique naturelle (1773-1774), and Morale universelle (1776), but these later writings were not as popular or influential as his earlier works. To avoid persecution, Holbach published his books either anonymously or under pseudonyms outside of France, usually in Amsterdam. This allowed him to maintain cordial relations with conservative intellectuals, who did not necessarily comprehend his radical views. D'Holbach was strongly critical of abuses of power in France and abroad. Contrary to the revolutionary spirit of the time however, he called for the educated classes to reform the corrupt system of government and warned against revolution, democracy, and "mob rule." 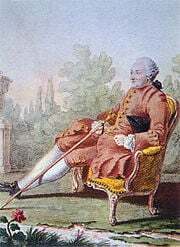 It is thought that the virtuous atheist Wolmar in Jean-Jacques Rousseau's Julie, ou la nouvelle Héloïse, is based on d'Holbach. Many of the main points in d'Holbach's philosophy have now found increasing resonance among the scientifically literate. Denying the existence of a deity, and refusing to admit as evidence all a priori arguments, d'Holbach saw the universe as an eternal and constant totality of matter and motion. Nature could only be known to man as a series of causes and effects. The universe, that vast assemblage of every thing that exists, presents only matter and motion: the whole offers to our contemplation nothing but an immense, an uninterrupted succession of causes and effects (Holbach, System of Nature, 15). The System of Nature (Le Système de la nature), though over-simplified in some areas, laid the basis for Holbach’s religious, ethical, and political ideas. John Locke, in Book 2, Chapter Eight of Essay, had made a distinction between the “real,” or “primary” and the “secondary qualities” of material bodies. “Real” or “primary” qualities were those which were inseparable from the material body itself, such as mass, extension, figure and motion; while “secondary” qualities referred to a material body’s power to produce sensations in its observers. Locke maintained that bodies possessed “secondary” qualities, or the capacity to produce certain sensations in the observer, based on their “primary” qualities. Holbach recognized the difference between the essential qualities of an object and the sensations which that object produced in an observer, but he did not base those “secondary” sensations on the object’s essential qualities. Instead, he defined matter as whatever makes up bodies and causes the sense impressions of an observer. Matter was a class of being, rather than a particular thing, and different objects belonging to that class could have different properties. A satisfactory definition of matter has not yet been given...[Man] looked upon it as a unique being…whilst he ought to have contemplated it as a genus of beings, of which the individuals, although they might possess some common properties, such as extent, divisibility, figure, etc., should not, however, be all ranked in the same class, nor comprised under the same denomination. For Holbach, the only difference between the “primary” and “secondary” qualities of material objects was that “primary” qualities were common to all bodies of matter while “secondary” qualities were present in some bodies and not in others. This view of matter as heterogeneous was flexible enough to suggest that all phenomena could be explained in terms of matter and motion, even phenomena pertaining to human thought and behavior. Human beings could be viewed as organic bodies of matter which possessed properties different from those of other bodies such as animals, plants, and inanimate objects. It also allowed properties such as thought and emotion to be attributed to matter, rather than giving them some other metaphysical status. Human actions could be understood in terms of universal determinism, and human nature could be explained in terms of laws. The laws governing human beings, however, were not necessarily the same as those governing the rest of nature, as human beings had unique properties requiring unique explanations. Holbach's ethics were naturalistic, but unlike his naturalist predecessors, he held that though human actions were governed by universal laws, these laws were primarily psychological laws which do not necessarily apply to any other bodies of matter. Holbach’s French translation of Hobbes is still the most widely available, and like Hobbes, Holbach identified self-preservation as the most basic human desire. Happiness was therefore related to self-preservation. Ethics amounted to an enlightened understanding of what was in one’s best interests. Vice arose from a failure to recognize the means by which one’s best interests could be served, and moral rules were hypothetical imperatives which dictated the behaviors that would lead to self-preservation and therefore, happiness. Humans would automatically do anything that would advance their basic interest in self-preservation, providing they understood what that was. [Man] was ignorant of his true interests; hence his irregularities, his intemperance, his shameful voluptuousness, with that long train of vices to which he has abandoned himself, at the expense of his preservation, at the risk of his permanent felicity (System of Nature, 14). Holbach blamed an ignorance of nature for the development of religious ideas in humanity. He believed that people incorrectly personified nature, projecting their own interests and purposes onto natural objects that were in reality very different from themselves. Out of ignorance of nature arose religious beliefs in Gods and concepts like heaven and hell, which caused man to pursue self-preservation in misguided ways. The ignorance of natural causes created Gods, and imposture made them terrible. Man lived unhappy, because he was told that God had condemned him to misery. He never entertained a wish of breaking his chains, as he was taught, that stupidity, that the renouncing of reason, mental debility, and spiritual debasement, were the means of obtaining eternal felicity (System of Nature, 349-350). While religious people might seek an eternal reward by denying themselves the physical pleasures, such as food and wine, that they desired, and practiced moderation, temperance, and self-control, Holbach maintained that a correctly-informed person would practice temperance and moderation because that was the way to derive the most enjoyment and benefit from good food and wine. Holbach's political theory was presented in several works published during the 1770's, La politique naturelle (Natural Politics, 1773), Système social (The Social System, 1773), La morale universelle (Universal Morality, 1776), and Ethocratie (Ethocracy, 1776). He had defined human interest as happiness and self-preservation in the System of Nature and Common Sense; now Holbach developed a concept of a just state or, "ethocracy," founded for the purposes of securing the general welfare. An individual could not achieve self-preservation or happiness without the cooperation of others. A just society involved two types of social contracts. The first occurred naturally among individuals, who united in order to secure their personal safety, ownership of property, and their means of sustenance. The second was a formal contract between society and a sovereign power, which Holbach generally described as a king restricted and advised by a body of elected representatives. The purpose of a government was to foster social cooperation and promote conditions that would ensure the happiness of its people. The first contract, among society, could never be broken, but the second could. If a government failed to secure the welfare of its subjects by protecting their property and basic freedoms, society had a right to revolt as a natural consequence of its desire for self-preservation. Though Holbach defended the right of society to revolt when a government failed to secure the well-being of its members, he did not support anarchy and violent revolution, believing that reform effected through a stable government would best ensure the well-being of society. Holbach opposed absolute monarchy, hereditary privilege and Christianity as obstacles to the happiness and well-being of man. By taking human well-being as the measure of political institutions, his political philosophy contributed to the development of utilitarianism. However, with his materialistic viewpoint, he lacked any appreciation for the spiritual dimension of life. Système de la nature ou des loix du monde physique & du monde moral ([[The System of Nature|The System of Nature, or Laws of the Moral and Physical World), published 1770, in 2 volumes in French under the pseudonym of Mirabaud. Le Bon Sens, published 1772 (Good Sense). This was an abridged version of The System of Nature. It was published anonymously in Amsterdam in order to escape persecution, and has also been attributed to Jean Meslier . Naumann, Manfred. Paul Thiry D'Holbach. Akademie, 1959. Baron d'Holbach, Project Gutenberg e-text. This page was last modified on 11 December 2016, at 19:54.